Kai returns from being almost killed in the Middle East and is told he needs to go back on his medication. Cookie learns that he's HIV positive and immediately worries about Jamal, but after doing some research and some words of wisdom from Kai, she learns that the condition can be managed and that she's overthinking things. In the end, Kai and Hakeem get engaged, and bond over the fact that everyone knows everything about them now. Meanwhile, Tiana leaks a track with Blake, and it causes a lot of trouble for her at Empire when Kingsley says she will be paying the overhead costs out of her salary. Becky tried to talk Kingsley round, but he stood firm with his plan and tried to give some of Tiana's songs to another girl. 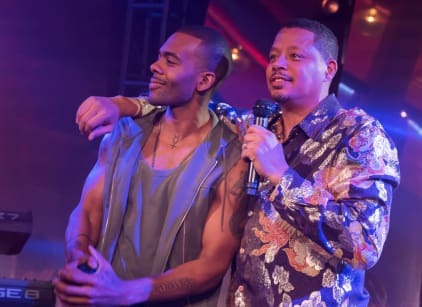 Also, Lucious and Cookie managed to get money for Devon, and they hosted a premiere party for him.